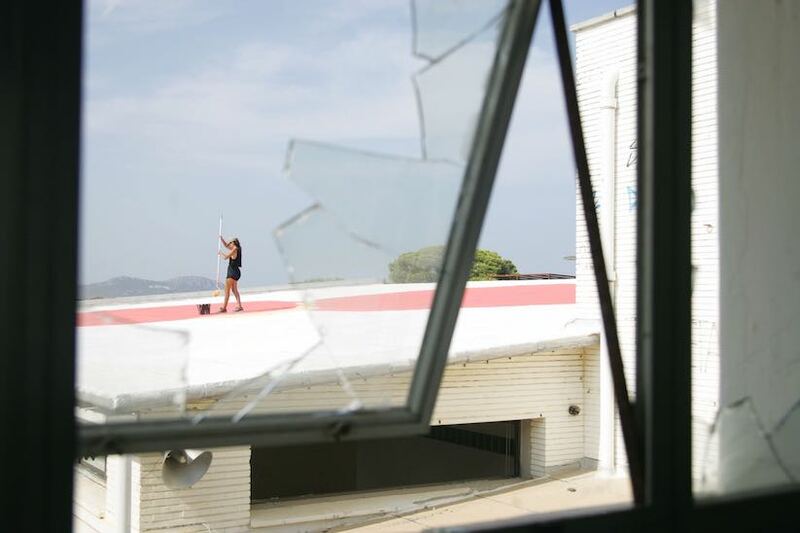 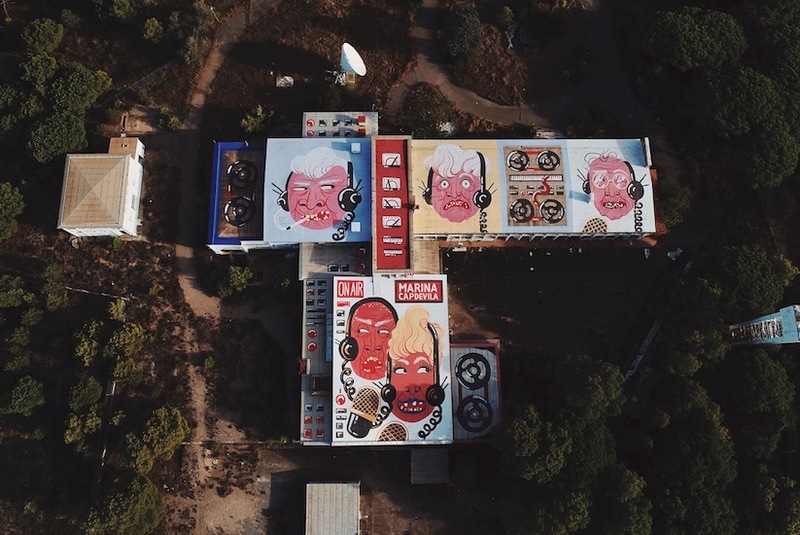 Marina Capedevila, recently spent some time in Spain where she unveiled this large rooftop piece entitled “Radio Liberty”. 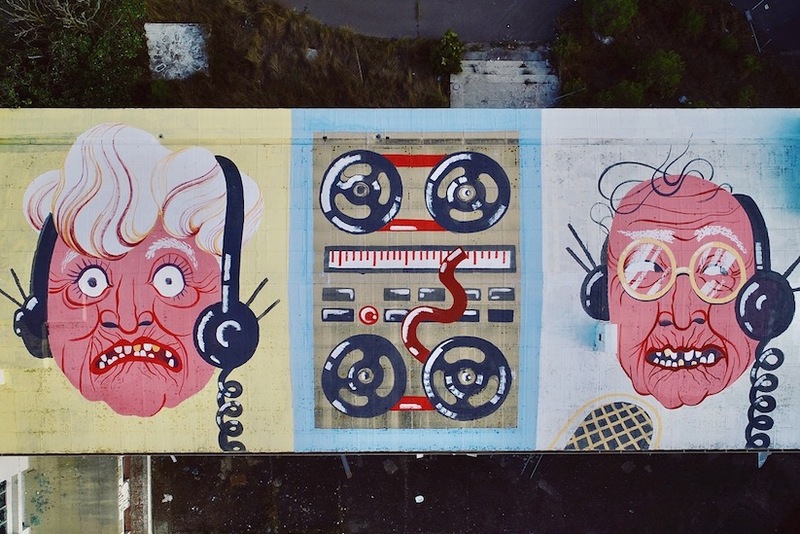 Painting on the streets of Pals, a small town in Northern Spain, the artist spent several days on the roof of an abandoned radio station. 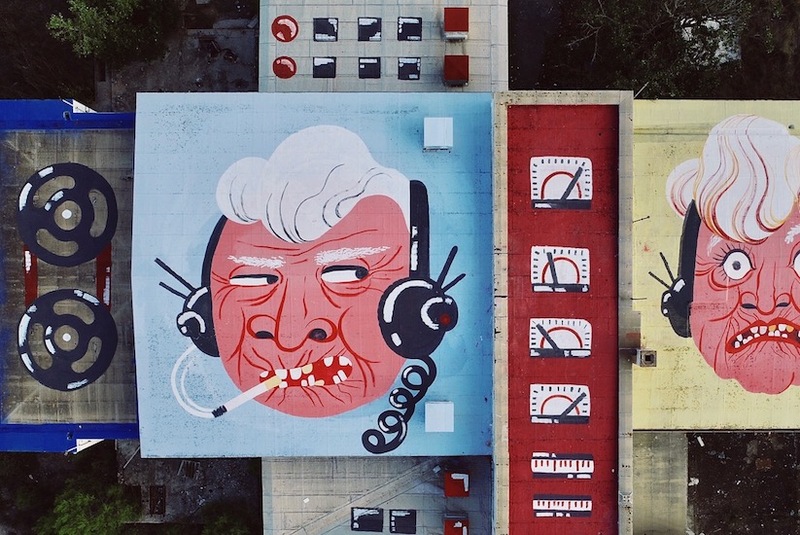 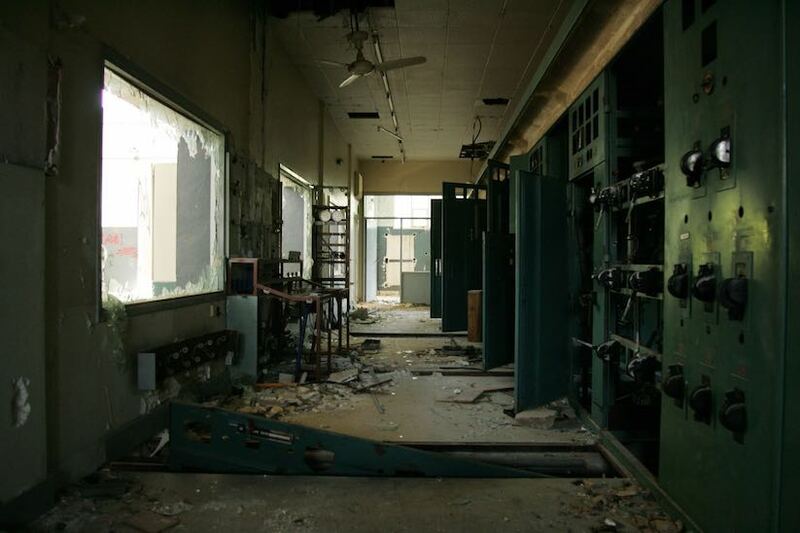 The station was created during the Cold War by Americans as an anti-communist propaganda source to the Soviet Union. 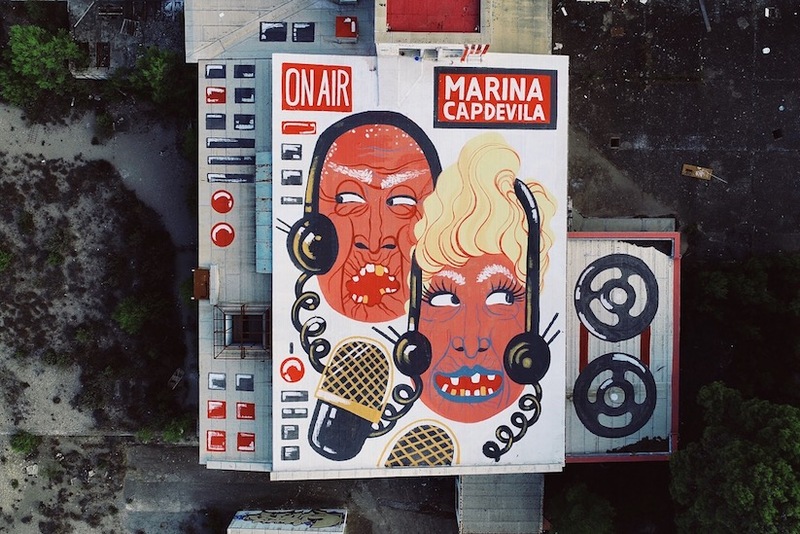 Marina painted a total surface of 2,180 square meters for her first ever rooftop artwork.